Attorneys for Billy McFarland, organizer of the fantastically failed "Fyre Festival," are blaming a host of untreated mental health issues, alcoholism and attention deficit disorders for the amazing flop, and asking a judge to be lenient. 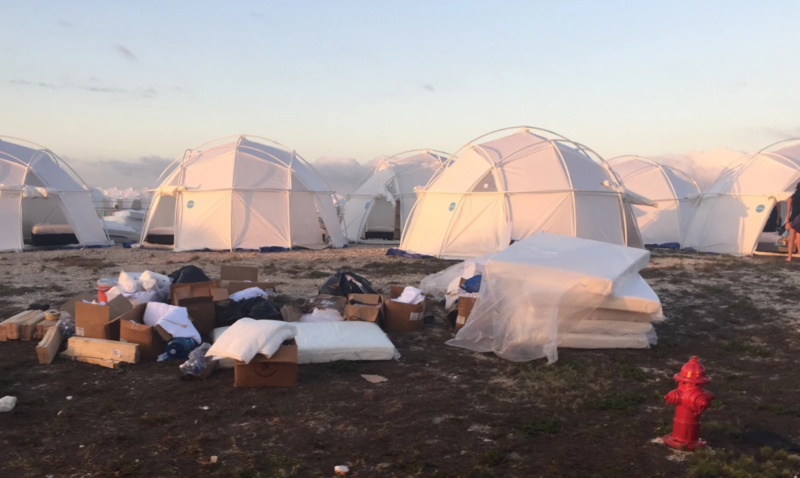 Last year’s disastrous Fyre Festival went up in smoke because its organizer has an untreated mental illness — or at least that’s the argument his lawyers are using in court. As Billy McFarland awaits sentencing for fraud, his attorneys are asking that the judge be lenient, citing a psychological evaluation that found the Fyre Festival organizer suffers from untreated bipolar-related disorder, “severe alcohol abuse,” and ADHD, which led him to dupe investors and thousands of attendees into his luxury destination festival. These factors caused McFarland to alter his behavior and experience “delusional beliefs of having special and unique talents that will lead to fame and fortune,” according to the report filed in court last Friday. “Nothing in this case speaks to any malicious intent on his part, just a sea of bad judgment, poor decisions, and the type of core instability that can only be explained by mental illness,” his attorney, Randall Jackson, wrote the judge. McFarland pleaded guilty to fraud charges in March, then later pleaded guilty to even more charges that he ran an elaborate ticketing scam while out on bail. He faces up to 14 years in prison and will be sentenced in Manhattan on October 11.